The telescoping, tiered effect of this tower allows children to easily access any one of the array of 50 brightly colored markers. Small in size for kids' little hands, but big in color! 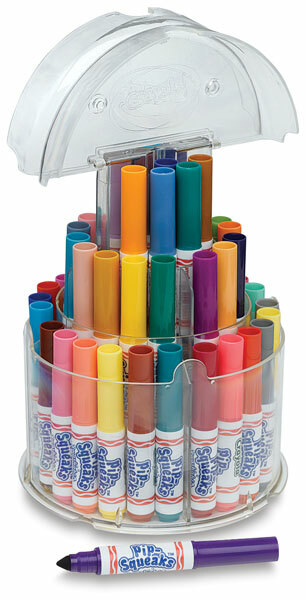 Pip-Squeaks are a shorter version of the full-size line of Crayola washable markers. Colors wash easily from skin and most clothing. The tower folds down for easy storage. ® Crayola is a registered trademark.™ Pip-Squeaks is a trademark.